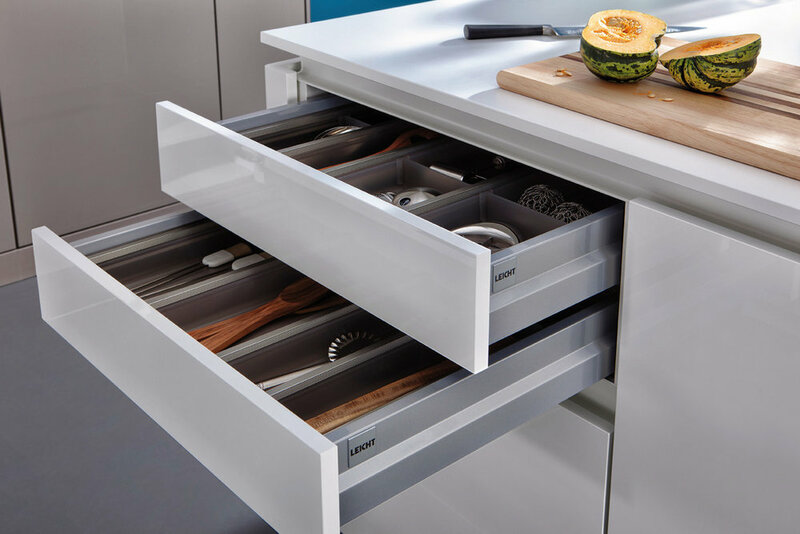 LEICHT offers plastic cutlery trays for drawers up to 120 cm width, using the storage area to its best effect. Everything is clearly arranged and ready to hand. In its basic style the material is either metal-coloured plastic or inserts with variable divisions in decorative glass-green plastic with metal connection strips. 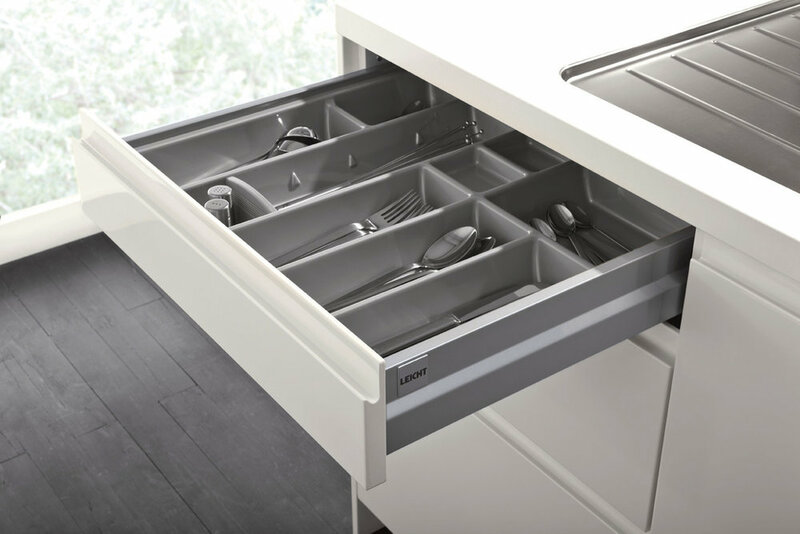 Sturdy and uncomplicated to use: the cutlery trays made of smoky grey plastic are available in widths of 30 to 120 cm for four carcase depths. Decorative metal strips are focal elements. The cross dividers can be moved to suit your purpose. 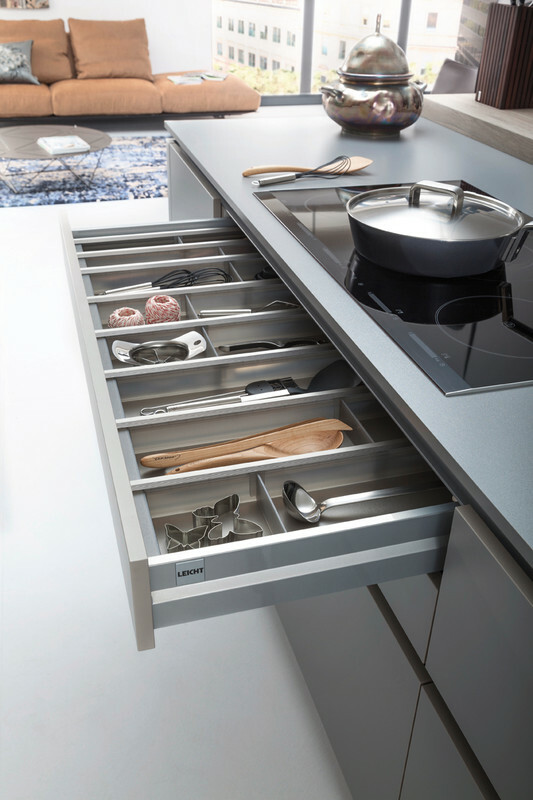 As an alternative, customers can opt for metallic coloured, deep-drawn cutlery trays up to 120 cm wide.